'Every time I go out on stage I feel invincible. I feel like no one can do anything to me. I'm with 10,000 of the very best friends you could have. 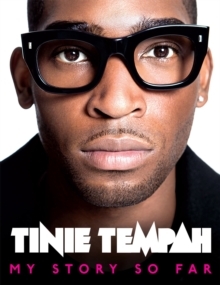 'Since his debut album Disc-Overy went double platinum, Tinie Tempah's life has transformed into a whirlwind of sell-out gigs, festivals, award ceremonies, partying with celebrities and jetting all over the world. For a lad with humble beginnings in south-east London it's been a breathtaking ride and now, in his very first book, he invites his fans to join his crazy world. Jam-packed full of exclusive photos, this is an up-close-and-personal insight into what it's like to be Britain's biggest pop star. Speaking from the heart, Tinie talks about everything that means the most to him, including family, his closest friends and girls, while sharing his incredible journey. This is Tinie's intimate account of how he's gone from 'Disturbing London' to disturbing the whole wide world.